ITEC Day – Indian Technical and Economic Cooperation – Budapest – 2018. The ITEC Day was celebrated organized by the India Embassy, at the Amrita Sher-Gil Cultural Center Auditorium in December, 14. 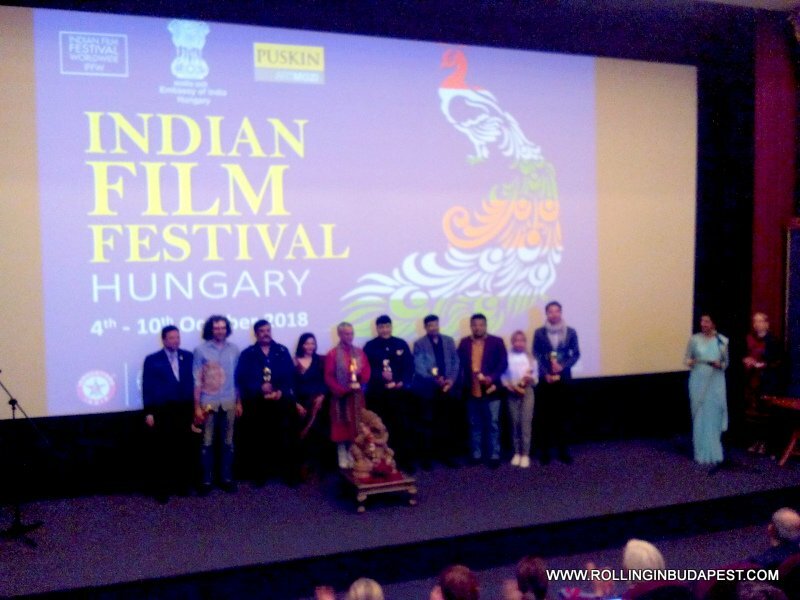 2018. by the newly appointed Ambassador of India to Hungary – H.E. Kumar Tuhin, who has had replaced H.E. Rahul Chhabra – Ambassador of India to Hungary after his term of office has expired. Overall, the three ladies stepped on stage and shared their experiences gain during their ITEC participations. Melinda Irtl Földiné – Yoga teacher attended in 2016 at a ’Special Training Program for Yoga Trainers. She came along with her student Ágnes Demeter who attended in 2018 a Yoga Cyclic Meditation course. As she described the course, in her class were 55 persons from 16 countries. She also underlined that within the number of participants from all religion and colors from around the world were present. There were no problem of differences in faith, nor color they all behaved as a one big family, nothing stopped them from being just-as-one! Thereafter, Edina Barna – author and digital artist shared her experiences who participated in 2014 at a web designing course. Participated on a 10 weeks web design course with 100 people from the four corners of the world. There were participants from countries that she has never heard before. Appearing as a “full stop” on the world map, and with to-day’s tech she keeps with many the daily contact. She expressed in her name that most probably the participants had a pleasant stay in India within the wonderfully organized course and sightseeing days and well took care of them. In between the presentations, traditional dance performance written in the 16th century took the stage by Sonali Roy – Kathak Dancer and Table artist’s music entertained the audience. There were stunning classical raga fusion show by Pandit Rajesh Gangani played on Tabla and Zoltán Lantos, performed on Violin. The event was closed with a reception in serving traditional India Food. The Navratri Festival taking place between October, 14 – 19. 2018. Fonó – Buda House of Music – District, XI., 3. Sztregova Street – Budapest. Participation is welcomed to Navaratri, Golu and Durga Punja Celebration. Join the evening at Raas Garba Night in your vibrant and colorful outfits. .Entry is free of charge. Especially the Kathak Dance performance choreographed by Ms Sonali Roy on October, 16. 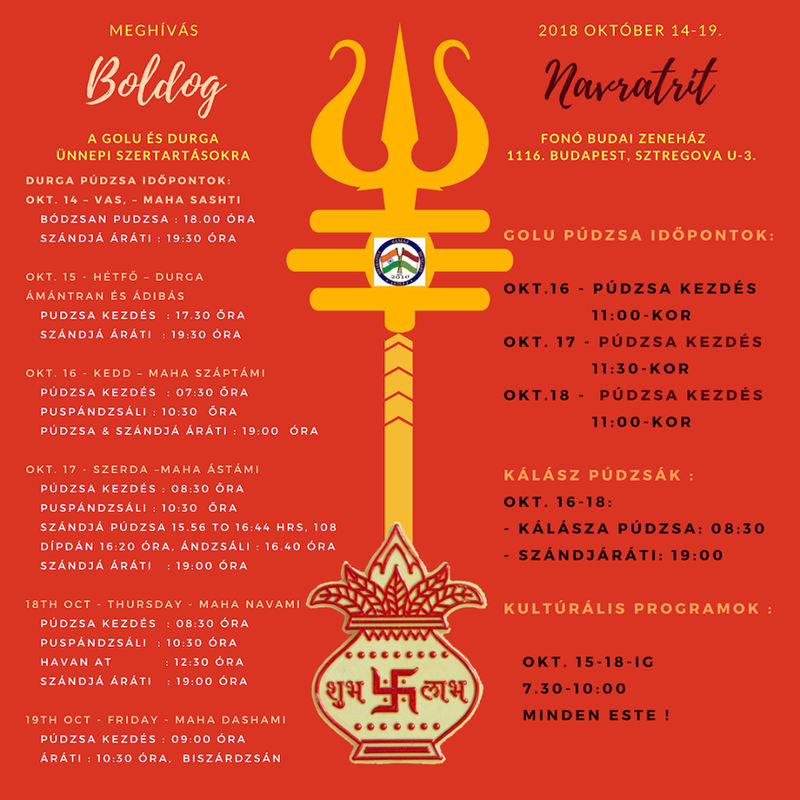 2018 at 8.10 p.m.
Culture programs October, 15 – 18. from 8.30 a.m. to 10 p.m.